Sewn Railcar Covers manufactured at Flexpak provide a custom railcar cover designed from the same standard woven wrap material used for lumber wrap and lumber covers. An effective railcar design at a competitive price allows Sewn Railcar Covers to be customized to different sizing needs. Standard sizing for Sewn Railcar Covers are 76’ x 32’ but can be customized to the needs of the customer. 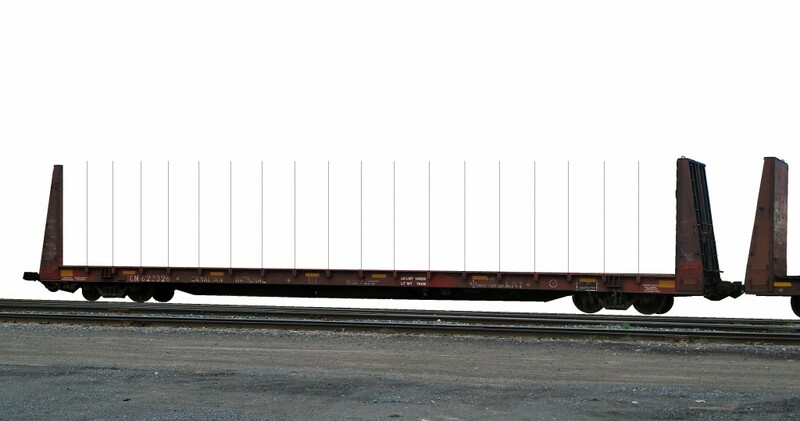 Railcar Covers will be delivered on a pallet, and will be designed for the best application to rail. With the same custom design as mentioned on the Railcar Covers page, this railcar cover can be applied faster than other covers in the industry. This saves both time and money in the packaging process. Large prints on the Sewn Railcar Covers is possible up to 12’ wide running the entire height of the railcar. See the Printed Railcar Covers page for more information on printing options. Contact Flexpak at any point to discuss how Sewn Custom Railcar Covers may be an effective means to protect your product when shipping by rail.